Generating leads for your business is one of the key reasons you have a web presence, no doubt. But just how can you generate those leads when there is so much online competition? When there is just so much Internet “noise”? 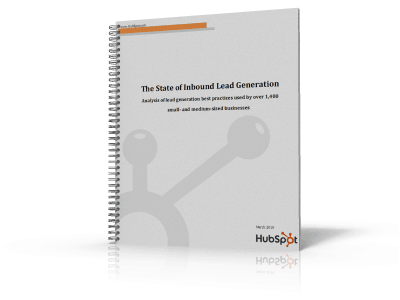 This report from the experts at HubSpot shows you the best practices in generating leads using the web. And be prepared – it clearly demonstrates you need to blog, lots of times, frequently, constantly, daily. Using data collected from the B2B and the B2C sectors, this report shows you why a combination of blogging and Twitter is the best way to generate leads for your business online.